Rochester Vicinity Street Atlas has 95 pages, including a Key Map, double face enlarged map of Downtown Rochester. Much more than just streets – the maps show a wealth of detail – shopping, hospitals & medical facilities, parks, post offices, schools, libraries, museums, community centers, many recreational facilities, lots of geographic landmarks and many other varied points of interest. Complete with comprehensive indexes. 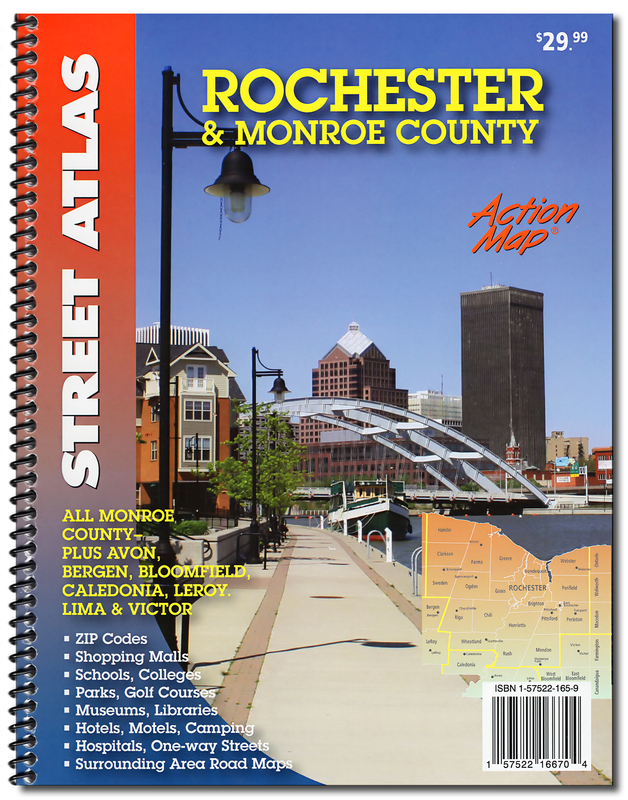 Rochester & Monroe County Atlas (Action Map) – Rochester Vicinity Street Atlas has 95 pages, including a Key Map, double face enlarged map of Downtown Rochester. 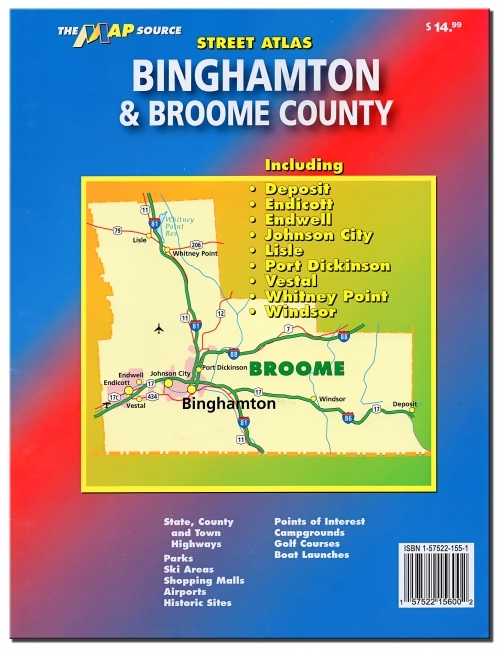 Much more than just streets – the maps show a wealth of detail – shopping, hospitals & medical facilities, parks, post offices, schools, libraries, museums, community centers, many recreational facilities, lots of geographic landmarks and many other varied points of interest. Complete with comprehensive indexes. Edition 2014. Size 8.5” x 11”.